Read what happened to this family who thought their cat died until they were proved wrong in the most hilarious way possible. Here are the mournful texts between two sisters and their father. So Then, This ISN'T The Dog Park I'm Looking For. Well, my Match.com profile DID say I was a rodeo star...you just didn't ask what species. 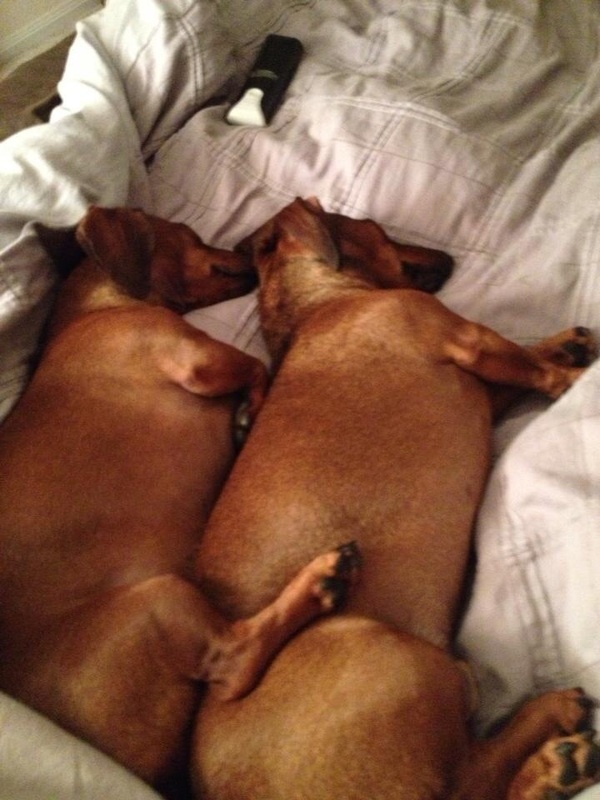 Redditor RufioGP posted this image claiming "Dachshunds Can't Spoon... So They Sleep Back to Back." "To the person saying dachshunds can't spoon..."
Well played Limsimar12. Rejoice Internet, dachshunds can spoon!